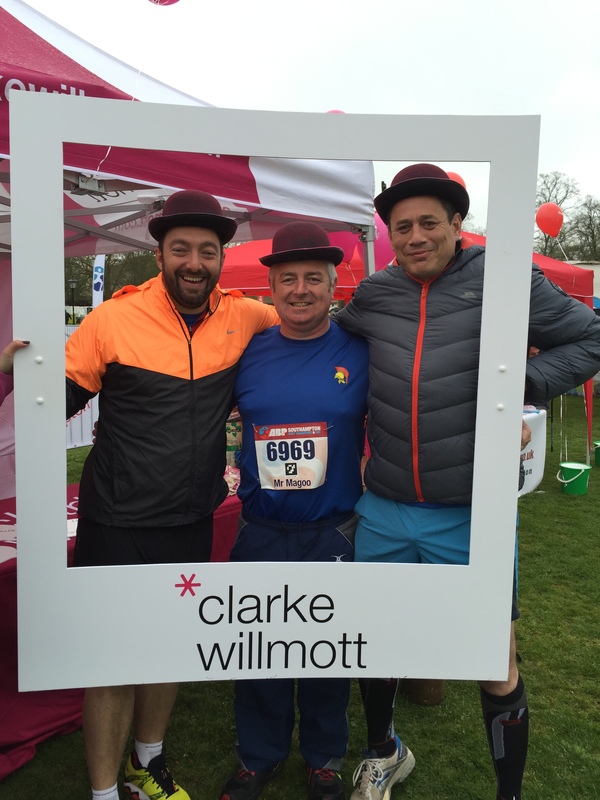 A chance meeting with Chris, the organiser of the event outside a physio in Chandlers Ford led me to putting in a team for the 10k and half marathon last weekend for my Rugby club, Trojans. The team was a mixture of super quicks and some who had last undertaken a run in the 1980’s ! 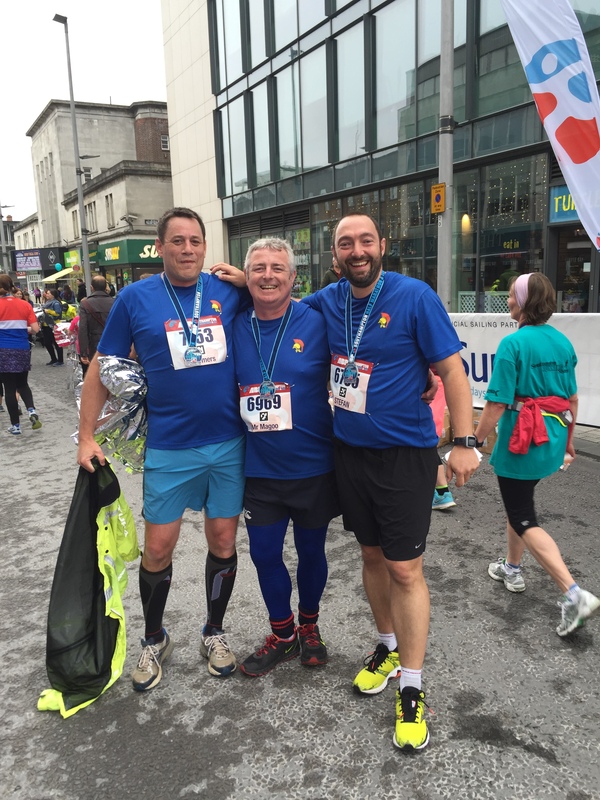 I selected the 10k as only a couple of weeks after Paris and in the end my second row partner Rammers and I decided to get our chairman round the course (he of the 1980’s). Day started in the runners village meeting up, dumping bags, collectionof finisher’s t-shirts etc. Actually, this may just be me but I can’t understand what would possibly possess someone to do the race in their finisher’s t-shirt??? Even picking it up before the race went against the grain but anyway…. 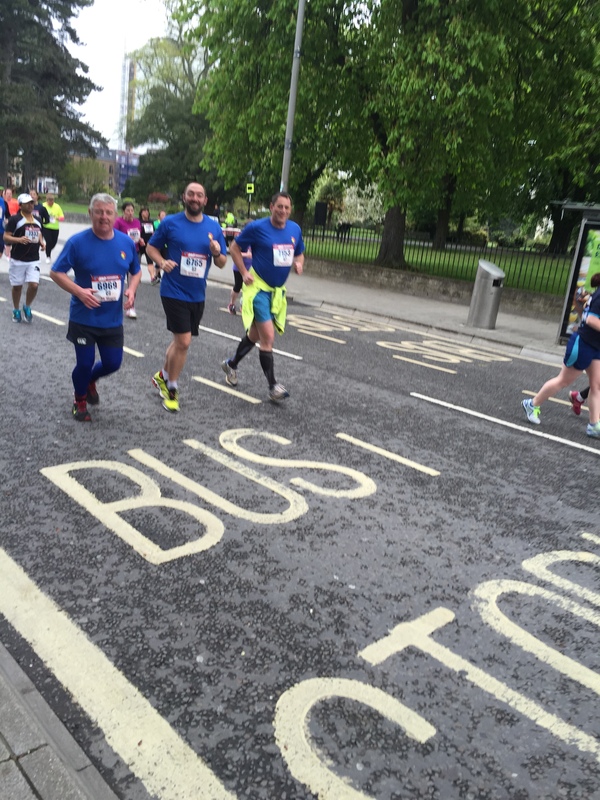 The 10k was a great race, lots of support, mile markers were great and enthusiastic, lots of cheering between the runners etc. The Itchen bridge was a bit of a git to get over and then turn round and do it again but it was great to be doing a race in my hometown around the places you drive past all the time etc. Our glorious chairman got a little grumpy at times but did a great job and at times it looked like he had security with one of us on each of his shoulders keeping him going. Finishing into the town center was a really nice feeling with again lots of crowds cheering us on. To give you a flavour of how local the race felt, one mile marker cheerring was the midwife who delivered our first daughter and another was the lady from our local tesco express ! My wife completed the half marathon which was straight after the 10k and from our chats afterwards this was definetely the race of the day with many many more crowds, a great atmosphere and great support. All in all a great race I would recommend for 2016, the organiser Chris for a first race he’s organised did amazingly and to the Trojans who were out there made me proud to be a Trojan. ← If you’re thinking about volunteering, do it !